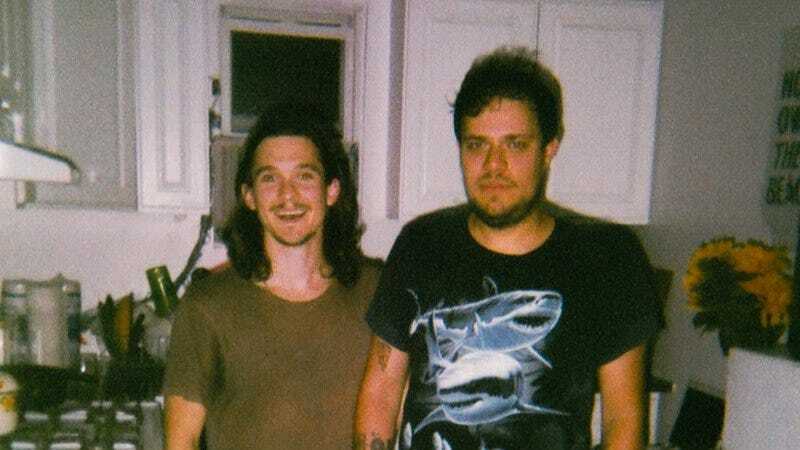 Forged by the friendship of Chris Farren and Jeff Rosenstock, Antarctigo Vespucci sprung to life last year with a pair of EPs, Soulmate Stuff and I’m So Tethered. Though it could have been relegated to side-project status, the band stayed active and on July 24 it’ll release its first proper full-length, Leavin’ La Vida Loca. The record sees the return of Benny Horowitz, The Gaslight Anthem drummer who contributed to Soulmate Stuff, and worked with Farren and Rosenstock on the creation of Leavin’. The A.V. Club is streaming the whole record below, while pre-orders for the album can be had through Rosenstock’s Really Records. On Friday, Leavin’ La Vida Loca will be available for free through Rosenstock’s other label, the donation-based Quote Unquote Records.